Kit #JT23X. 1/48 scale. 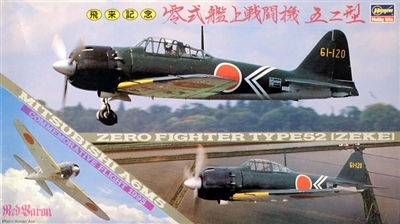 This Limited Edition plastic model kit is to commemorate the flight of a 1995 restored WWII Japanese fighter, A6M5 Zero Type 52 'Zeke.' Hasegawa released in 1996 with new decals.